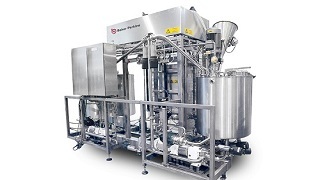 Cereal Master™ systems are high-efficiency production lines for a wide variety of breakfast cereals. 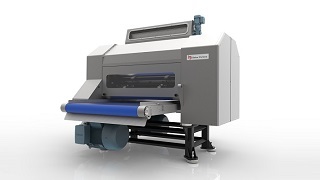 They comprise standard process modules combined in different ways to make different products and can be expanded at any time with the addition of extra modules to change or extend the product range. 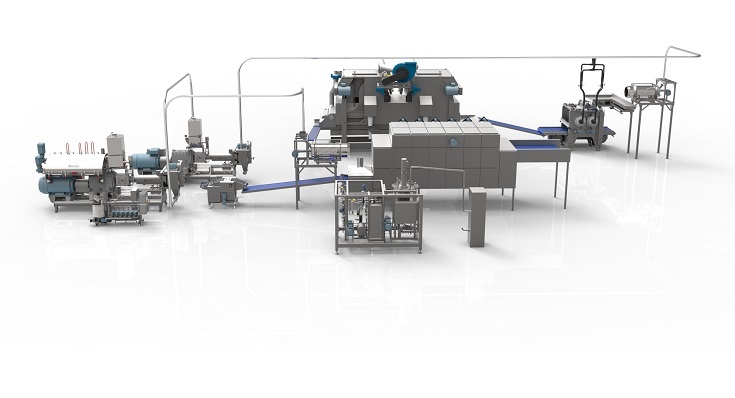 The Cereal Master EX™ twin-screw cooker-extruder process is a proven, versatile and expandable solution for producing a variety of breakfast cereals. It is welcomed by a wide range of producers as a simple, cost-effective way to serve new and emerging markets. It is equally at home in sophisticated production environments, where its adaptability adds to the capability of established producers. 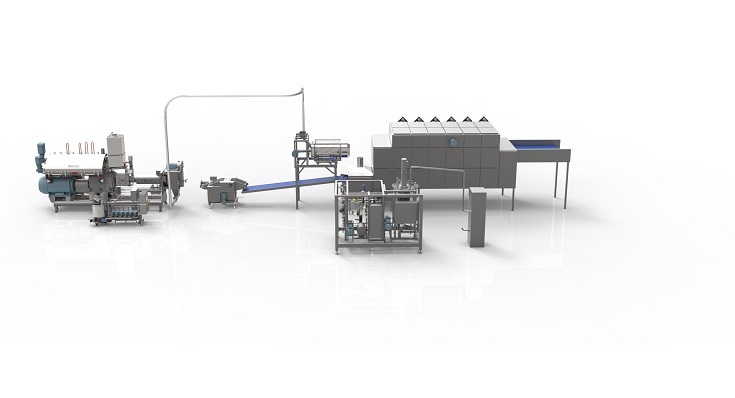 The Cereal Master™ concept is applied to both traditional and extruded cereals. 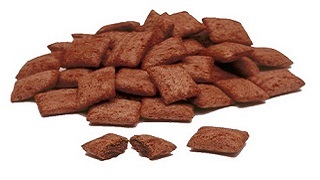 A range of popular breakfast cereals is made on Baker Perkins extruders - corn balls, multigrain rings, alphabet shapes, cocoa curls, and cocoa balls are typical. 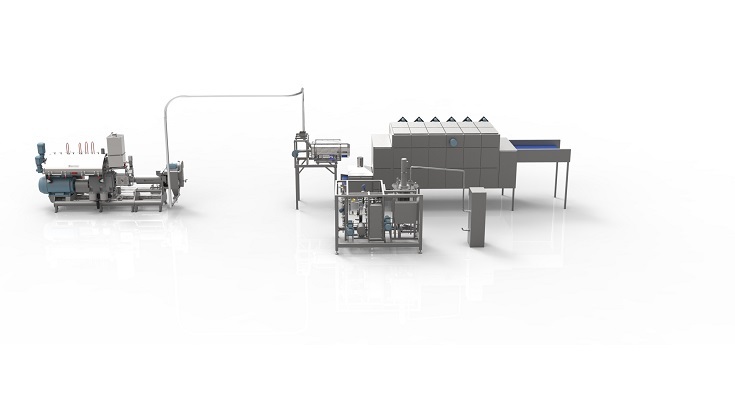 The Cereal Master EX™ line is a cost effective point of entry to the breakfast cereals market. Using Baker Perkins' process and product expertise, additional units can then be incorporated to build capability. 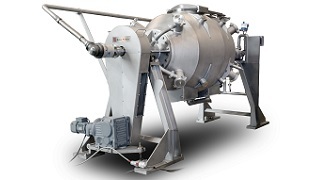 Co-extrusion equipment, cereal cookers and dryers can be added to form versatile plants suitable for a wide range of high-specification extruded cereals produced in volume. Co-extrusion extends the capability of the extrusion process to make added-value products with shapes that catch the eye, complemented by innovative flavours and fillings. 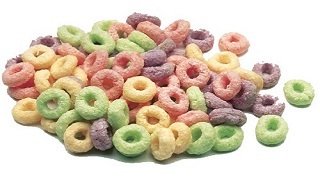 A co-extrusion system incorporates fillings with contrasting textures or colours into a cereal outer shell. 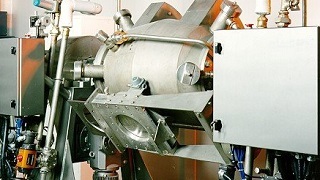 The essential elements of the system are a die, pillow crimper and cream feed system. The fillings can be of virtually any colour or flavour - creams, fruit pastes or chocolate pralines are typical. The product range is limited only by the imagination. 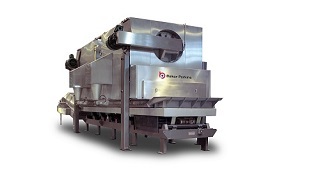 The Baker Perkins Pillow Crimper expands the product range beyond conventional squares and rectangles. It provides the opportunity to form a number of attractive and distinctive patterns such as hexagons, faces, chevrons and waves. Other options include surface textures such as grooves and highlights. 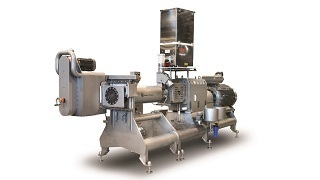 View some of the direct expanded cereal products that can be made on Baker Perkins' process lines. 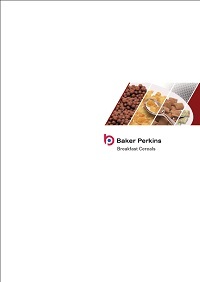 View some of the co-extruded products that can be made on Baker Perkins' cereal process lines. 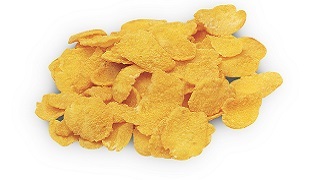 View some of the extruded flake products that can be made on Baker Perkins' cereal process lines.